Press dough evenly in bottom pan. Bake 15 to 18 minutes or until light golden brown. 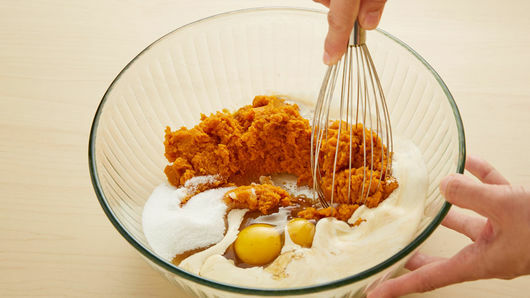 Meanwhile, in large bowl, beat eggs, pumpkin, 1/2 cup of the whipping cream, 1/2 cup of the chai concentrate, the sugar and salt with whisk until well blended. 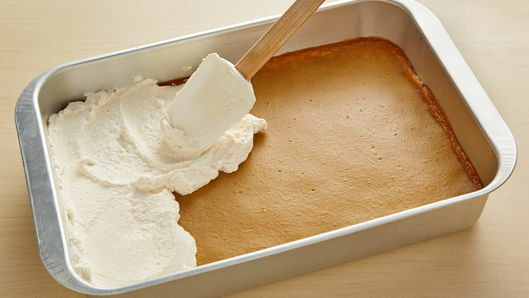 Pour pumpkin mixture evenly over crust. Bake 40 to 45 minutes or until center is set. Cool completely, about 2 hours. In medium bowl, beat remaining 1 1/4 cups whipping cream and remaining 2 tablespoons chai concentrate with electric mixer on high speed until soft peaks form. 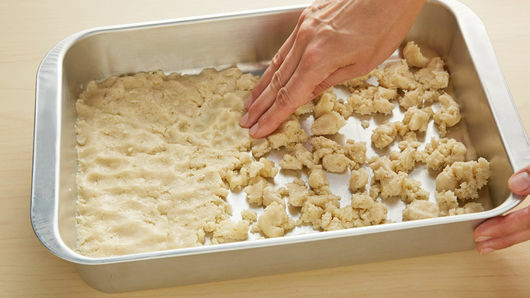 Spread evenly onto bars. Refrigerate 1 hour before serving. Cut into 4 rows by 4 rows. Cover and refrigerate any remaining bars. There are many brands of chai liquid concentrate. Some have a stronger spice flavor than others. We used Tazo™ chai concentrate. 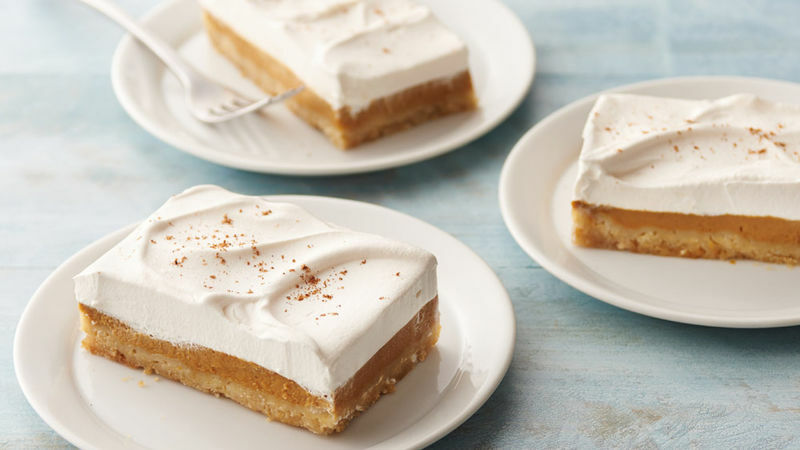 The addition of cream in the pumpkin filling in these bars adds a creamy texture. Garnish with nutmeg, if desired.